Erin Drummond is back and is going to be teaching a 6 week series starting Monday, Jan 21st from 4:30-5:30pm. 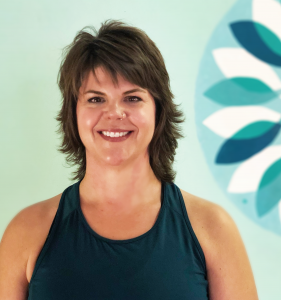 For those of you who usually attend my Forrest Inspired Basics class at this time, this means you can easily take advantage of this special opportunity to study yoga with Erin. Read more below. 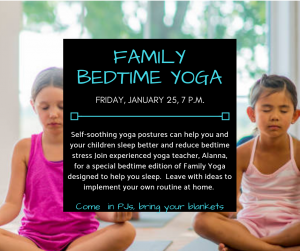 On Friday, January 25th Alanna is teaching a very special Bedtime Family Yoga from 7-8pm. Come in your PJs, bring your favorite blankets, and leave with a plan to revolutionize your bedtime routines. Don’t forget that Lunchtime Gentle Yoga with Mollee is held at Bluff Country Co-op this week. If you haven’t already reserved your space, call 507-452-1815 today. These past few weeks I’ve had the pleasure of talking with April Herndon about how her own practice is changing to support what her body needs. As always with April, I was impressed with her willingness to be real. She embodies the truths that all bodies can do yoga. And talking with her reaffirmed for me how beneficial—and indeed intense—a quiet restorative yoga practice can be. April just returned from a yoga retreat where she explored the subtle aspects of a yoga practice and the intensity of going within. Please read her personal reflections on this experience and her growing practice. 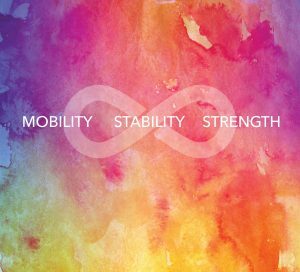 Join experienced children’s yoga instructor, Alanna Pelowski, for a very special edition of Family Yoga. You’ll leave ready for a great night’s sleep and everything you need to create your own bedtime yoga routine at home. Come in your pj’s, bring your favorite blankets and pillows. Would you like to bring more relaxation to your week and help your body in its natural healing processes? 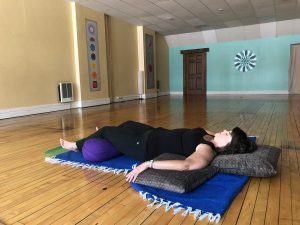 If so, Restorative yoga and Yoga Nidra may be good choices for you. After some gentle movements and restorative yoga, we will settle in to a Yoga Nidra practice. *held at Bluff Country Co-op reservations required. 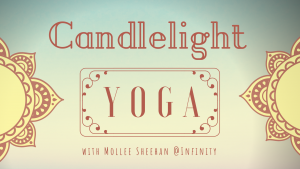 Next PostNext Bedtime Family Yoga is Here!